Whistler’s foodie event of the year is almost here! Cornucopia, which is taking place all over Whistler, begins on November 9th and runs for 10 days. Yes, that’s 10 days of drinking, dining and indulging which can be disastrous for the waist line and destructive for your teeth too (we’re not saying don’t do it though). There are tried and true ways of protecting your teeth from copious wine consumption, teeth staining foods and onslaughts of sugar. Here is our guide to protecting your teeth while enjoying the festivities of Cornucopia this year. We’re not going as far as telling you to drink your red wine through a straw; however, red wine is one of the biggest teeth staining culprits. 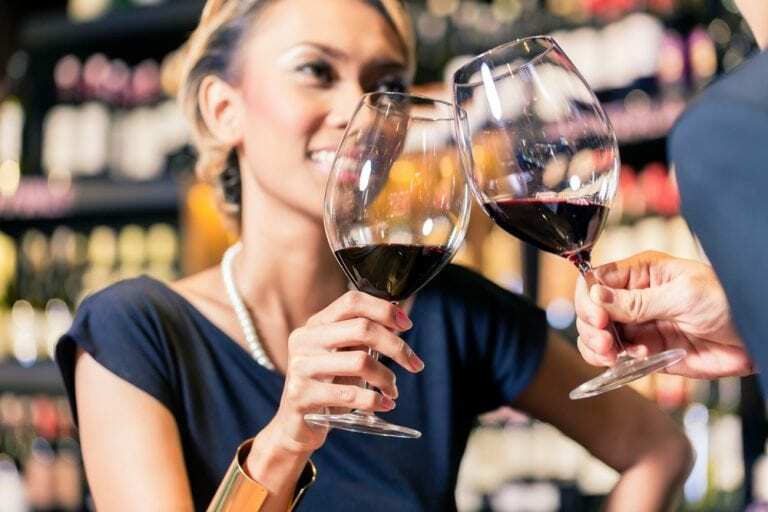 If you intend to attend any of the big wine events at Cornucopia like Crush or the Cellar Door Grand Tasting you can be sure your pearly white might dull a few shades due to the pigment producing substances in red wine adhering to your tooth enamel. Some of our best tips and tricks to prevent red wine stains on teeth include pairing cheese with wine (this actually closes the micro-pores in your teeth, preventing the wine pigments from adhering to the tooth). You can also purchase teeth wipes which will help remove the staining colour from your teeth, this is a temporary fix until you can get your teeth properly whitened. One last thing, don’t think white wines will get you off the hook! The higher acidity of white wine actually strips your teeth of natural protection and makes them more susceptible to staining from red wine and other food. From chocolate making workshops, five-course meals and of course all of the sugar in alcohol, expect your teeth to face a barrage of sugar during Cornucopia. To prevent sugar build up on your teeth pack a tooth brush with you and make sure to brush as often as possible. If the option is available, finish a meal with foods that are high in calcium to re-mineralize your teeth. Limit the amount of times your teeth are exposed to sugar, if you’re committed to a chocolate tasting earlier in the day, maybe opt for the savory dessert option, or skip dessert all together that evening! Food with high PH levels, which are on the acidic side, can be very damaging to tooth enamel. Meat, dairy, coffee, refined sugar and grains are all considered acidic with tomatoes, lemons and alcohol being particularly bad. It will be impossible to avoid acidic foods during Cornucopia so to limit their negative effect on your teeth, make sure to stay hydrated by drinking plenty of water (choose still water, as carbonated water is very acidic). Another tip is to hold off on brushing your teeth until 30 minutes or more after eating, the abrasion from brushing can be damaging to tooth enamel which has been exposed to acidic foods. Even after you’ve implemented our teeth-saving suggestions above, after 10 days of eating and drinking you will likely still require a dental check up and whitening. Whether a Whistler local or one of our many visitors, come see the friendly staff at Whistler Dental to help keep your teeth lustrous this food and wine season. 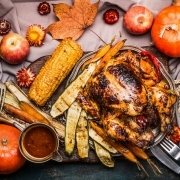 These Thanksgiving Foods Can Hurt Your Teeth! The Top 5 Dental Myths Busted! So you need a root canal – what this means and how to prepare?